The Best Men are members of the Wedding Bands Ireland Association. 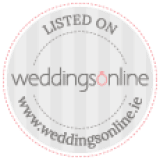 The Wedding Bands Ireland association is an independent body set up to maintain professional standards in the wedding music industry. We’re proud to say that as certified members of this organisation, we’re proven experts in honest communication, what you see is what you get. That is how we stay top of our game, by remaining 100% professional. The Wedding band association is a regulated body and was set up to protect couples in search of a wedding band from rogue traders with-in the wedding band industry. Rules and standards have been set out by the WBA which all members follow and in turn will give couples a sense of security when booking a WBA membered band. Our members Core values: One Band | One Wedding Per calendar date. The Band you Book upon original viewing is the Band you get on the night of your wedding. Would you book a band that is not a WBA member? 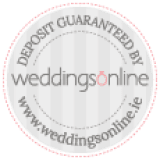 Booking a Wedding Band in Ireland is probably a first for you. 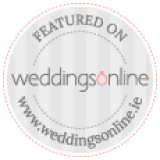 The Wedding band association of Ireland are here to offer you free advice and give you guidance during the process of booking a wedding band. We are also here to protect you against rouge trading with-in the Wedding band industry. For us its simple, you should get what you paid for IE: The band you view at the showcase or public performance are the exact band that should turn up at your wedding. Otherwise, what is the point in viewing a band in the first place. Lets get to the point, if you thought it might be the case where the band you booked would not be the band that turns up at your wedding, WOULD YOU MAKE THE BOOKING IN THE FIRST PLACE? When you view a wedding band it allows you to make a judgement on whether they are the right or wrong band for your wedding. A bands live performance is what helps you make your final decision. 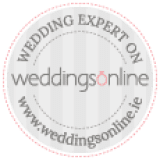 If you are organising your wedding whilst living abroad or can’t make a showcase event, then a bands online video, or friends recommendation can be of help. Getting a family member to attend a showcase or public performance is another great option. The WBA understand that a wedding band can have a change of member. If a WBA registered band have a change of member the couple will be notified in advance of their wedding about the change. We do not tolerate a situation where a completely different band turns up on the night of your wedding. No WBA membered band will operate in this fashion. We are here to protect you against this kind of practice. 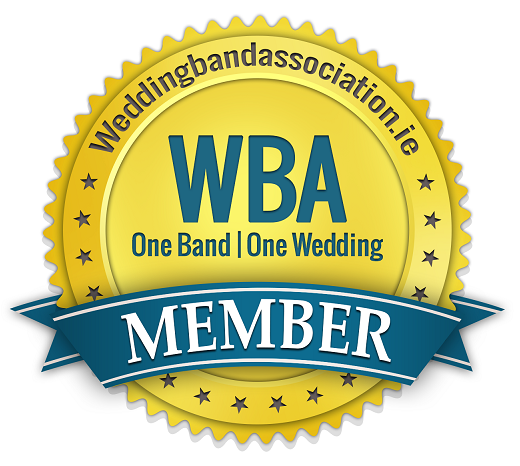 Most, if not all wedding bands in Ireland offer the highest professional standard, especially WBA membered bands and a WBA membered band will only ever perform at one wedding per calendar date. THIS IS OUR GUARANTEE TO YOU. IMPORTANT NOTE: We encourage you to book a WBA membered band and if booking a non WBA membered band, be assertive and before paying a security deposit ask some of the important and relevant questions listed below. 2. “Will this band be performing at any other weddings on the same calendar date as my wedding? You have the given right to ask these questions, because you are the one that wants to ensure you get what you booked upon original viewing. Don’t be duped.